Indulge in a moment of complete relaxation with a trip to Relax Spa & Salon. 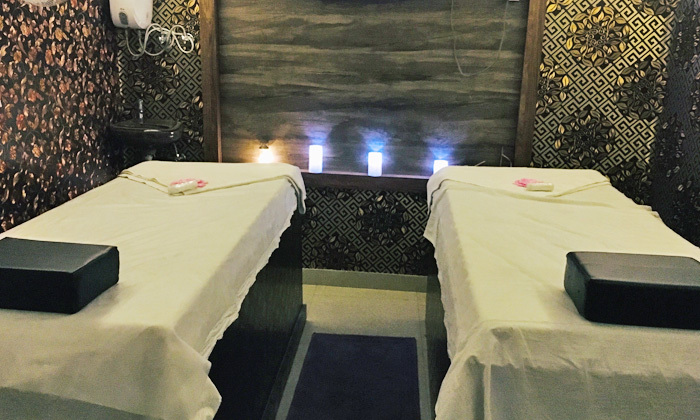 Located in Tegharia, Rajarhat, Relax Spa & Salon is a unisex beauty and wellness center that offers a range of rejuvenating therapies, salon services and massages to choose from. The spa and salon features spacious interiors with spate spa and salon sections that are elegantly done up to put you at ease the moment you enter. The therapists are well experienced and work to help you rid your body of its aches and pains and experience a moment of peace and relaxation.